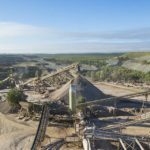 Resolute Mining’s Ravenswood expansion project (REP) has taken a crucial step forward with the Queensland Department of Environment and Heritage Protection (DEHP) providing the final environmental approval. The DEHP issued the final approved Amended Environmental Authority to restart mining at the Sarsfield open pit, a key milestone to advancing the $167 million REP. It allows the company to process and place additional tailings from their expansion plans using an innovative dry stacked tailing system. The expansion project boosts Ravenswood’s gold mine operations by 13 years to 2029. It will also increase annual gold production from around 100,000 ounces to more than 120,00 ounces. 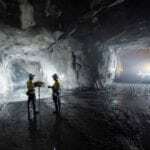 Resolute Mining’s managing director and CEO, John Welborn, said the approval was a major step in the company’s plan to expand production and showed the support the company is receiving from the state government. “We have already successfully recommenced open pit mining at the nearby Nolans East pit and have increased processing capacity to 2.8 million tonnes per annum while we continue underground operations at Mt Wright,” he said. The extended mine life will both maintain long term employment for their 280 strong workforce and will provide short term work for an additional 100 construction workers. The Queensland Government welcomed the expansion approval. Minister assisting the premier on North Queensland, Coralee O’Rourke supported the company’s ability to retain its workers and employ local workers. “I particularly want to recognise Resolute for its commitment to employ people from within 150 km of Ravenswood which means jobs for locals in Charters Towers, Ayr, Home Hill and Townsville,” she said. 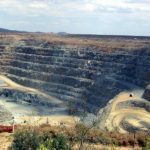 The company is now working on the rest of its necessary approvals, particularly for open pit mining to begin at the Buck Reef West deposit.